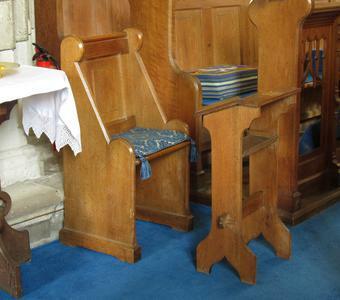 A small desk with a sloping top and an under shelf. The two legs are braced by a lower stretcher. The brass plaque is at the top on a horizontal section with the dedication. 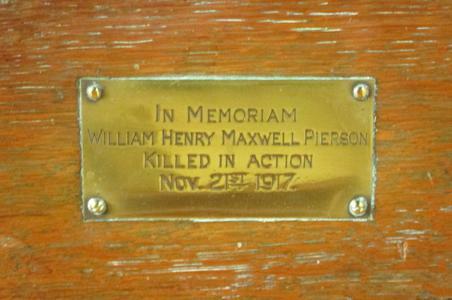 IN MEMORIAM/ WILLIAM HENRY MAXWELL PIERSON/ KILLED IN ACTION/ NOV. 21ST 1917. 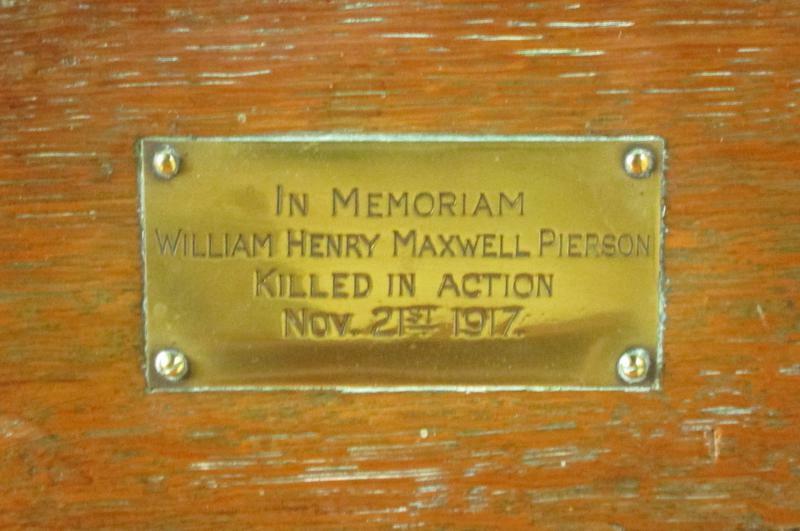 Information shown: Forename, surname, manner of death, date of death.